For ten days in October, 24/7 Travel Stores donated 5¢ for every gallon of gasoline sold at its stores to their local food banks. Across those 10 locations the communities raised $23,917.24 for their local food banks. 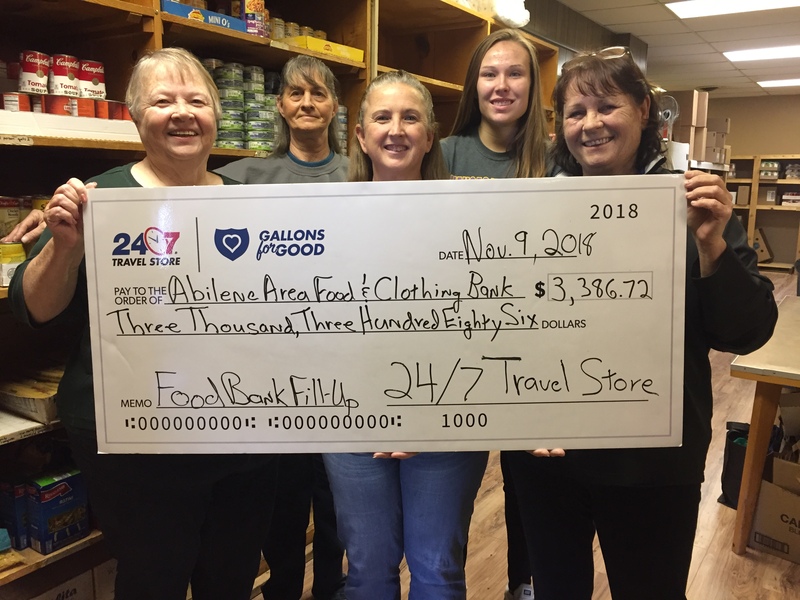 The Abilene Area Food & Clothing Bank received $3,386.72 from the Food Bank Fill-Up. The The funds raised from event can be used however the food bank wishes – whether for operating costs, perishable groceries or other needs.